“Campfire” 1930-31. Marion Mooney Camp Grey Rocks scrapbook. Paul Hutchinson is a Boston University lecturer and co-curator of an exhibit on New Hampshire’s summer camp history. It's on view at the Museum of the White Mountains in Plymouth until September 13. I went to the museum to see the exhibition and to talk to Paul about the long history our state has as a summer camp getaway. [Virginia Prescott] So here we are at the White Mountain museum, in Plymouth New Hampshire. And the show is called "Summer Camps: The White Mountain Roots of an Iconic American Experience." Was the first summer camp in New Hampshire? [PH]...sleeping on nice linens, you know beautiful. And his vision was that that was not what kids needed. So his idea was to create this summer camp kind of experience and so he bought an island. And in 1881 the Camp Chocurua opened up on the island. You know the family would come up the parents will stay at the resorts and the kids would go off to camp and that was kind of the original model and it spread relatively quickly from that original camp. 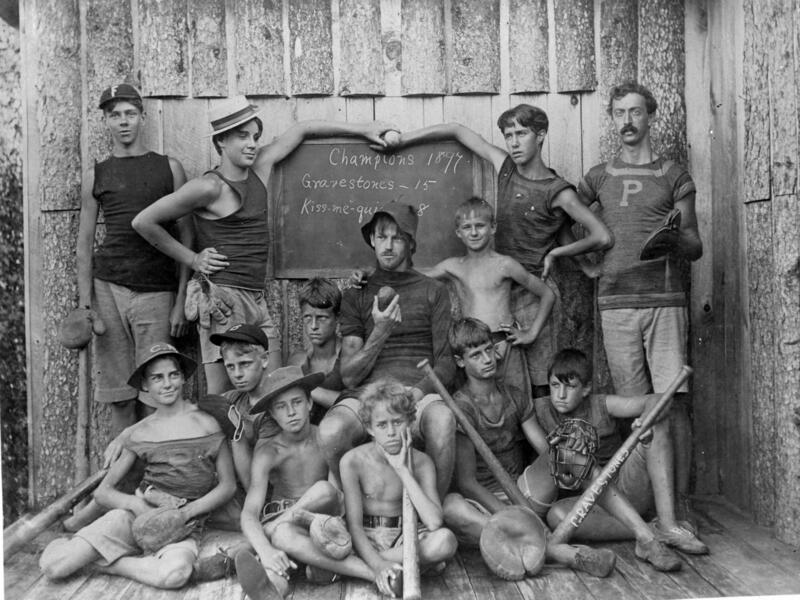 The second summer camp opened down in Rindge and it really kind of rippled its way out throughout the 1880s and 90s and really by the turn of the century it was it was a national movement. [VP] So I'm wondering why it spread so quickly what was going on in the rest of America during that time? I mean we know this is the late 19th century a lot of social experimentation a lot of experimentation with learning different ways of considering society and reforming society. What's the backdrop? [PH] America in 1800, the wilderness is dark and evil and needs to be broken and cultivated, and our children were dark and evil and needed to be broken and cultivated. But by 1900, you know, we have this whole Romantic Movement that changes our view of the wilderness and changes our view of youth. And so by, you know, the late 19th century the wilderness is what defines American culture. It's closer to God. It's the world in its unspoiled state. And children, similarly, are this great resource. They haven't been corrupted yet by civilization and cities and all these things. And so it was a natural process to say well we should have our children barefoot running around the woods to keep them in that natural state. The championship ball club of 1897. [VP] And this is at a time when the elites for the most part could afford to get away from the cities and come to stay in these beautiful resorts, Mount Washington hotels, and kind of forge this connection to the natural world but also one of the things that struck me about this is that Balch and others they were stripping away all of those trappings you know no servants. The kids had to make their own food. You know what were they doing? What were they learning? [PH] Well one of the things for those wealthy camps, a key thing was to learn how to make it on their own. 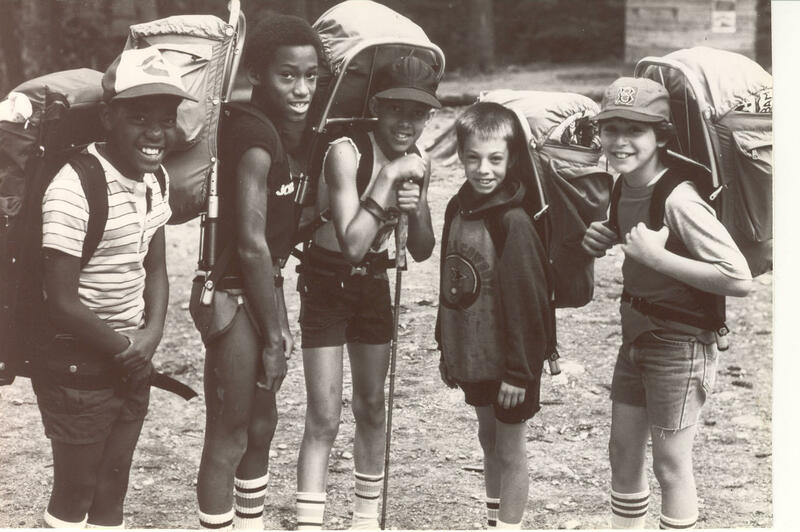 You know there was a lot of these early camp directors who recognized that these were children coming from wealth and privilege. And were, you know, kind of shackled by that privilege and weren't getting the experiences that they really needed. And so being in, you know, in Chocurua's case, there were no servants. You did all the dishes, you did all the cooking, you did all the building around camp, you did all the cleaning, and that was part of the curriculum. You know, how do we make it on our own? And in this community, you know, and it's very different from an individualism where how do I make it on my own? It's how do we make it honor the importance of community and your responsibility to others? One of the really, I think, most exciting camps especially in the early years, was the Groton School Camp and that opened in 1893 and Groton School was, as you know, the Groton School is this really wealthy private school in the Boston area and their missionary society created this idea of, let's run a summer camp for inner city boys, you know, and boys in poverty and the counselors were all Groton school students. So you had this kind of you know two layer thing going on that the folks in charge were the wealthy and the actual campers were the kids. But they're out there having these experiences together. And part of the mission of the camp was for the students, for the Groton school students, to kind of break down those barriers and understand how similar they were to these kids from the inner city. And for those boys from the inner city they got these camp experiences for free and the Groton School camps is one that's great because you have, you know, one of the most famous camp counselors from that would have been Franklin Delano Roosevelt. And so, one of his first experiences with folks who are not from those wealthy elite circles was going to camp with these inner city kids from Boston. And he spent two seasons, you know, on Squam Lake with these kids as a camp counselor. [VP] How about for girls? 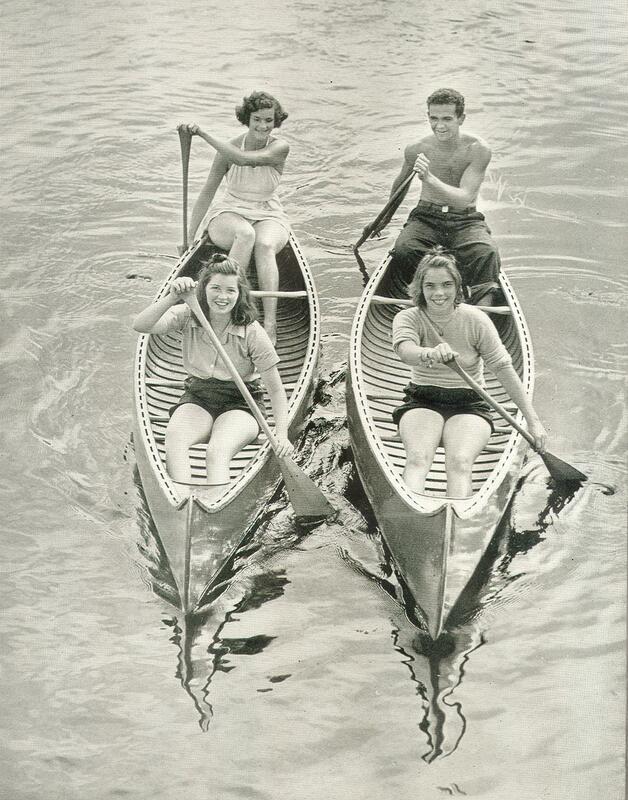 This is an era especially the early 20th century late 19th century when rigorous physical activity was not necessarily recommended for girls so how did camps for girls transform? 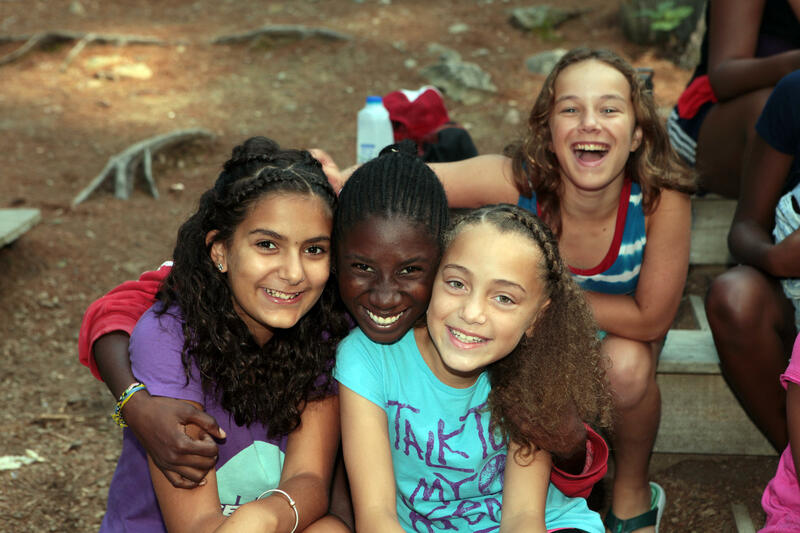 [PH] So the first summer camp for girls also happened here in New Hampshire. So Camp Redcroft in 1900 on Newfound Lake which opened, I think it was open for about eight years, and then actually when it closed, Camp Onaway opened on the same location, and Onaway is still in operation. I think they opened in 1912. 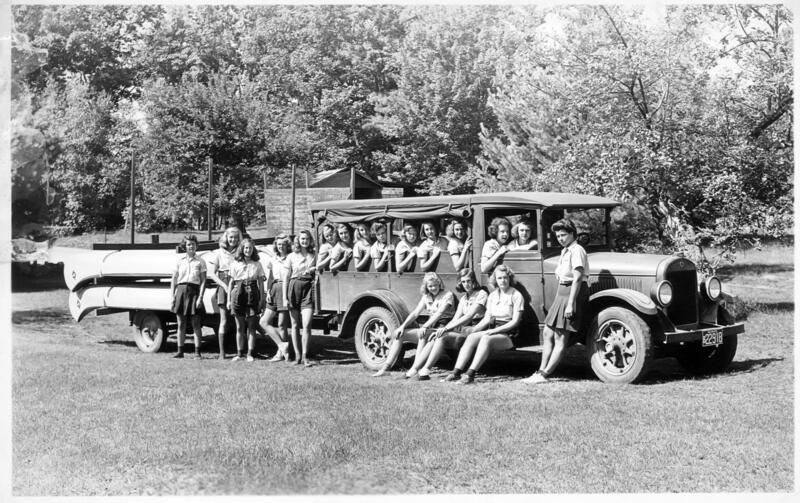 But you know, camps for girls and when you look at the history of the White Mountains and Recreation in the White Mountains there's opportunities for women here to express themselves in ways that they couldn't in the city. And you know one of my favorite kind of characters within this is a guy named Dudley Sargent and Dr. Sargent ran the Hemenway gymnasium at Harvard and he founded Sargent School for Physical Education which was a school designed to teach women to be physical educators that opened in 1881 maybe early 1880s. And you know, at a point in time when it was considered that if women ran, their uteruses would fall out right. He was running these studies challenging all of those notions and he’d have a woman run 100 yards, you know, wearing all of the dresses and the shoes and the petticoats and the girdle, the whole nine yards. And then he'd take her blood pressure and he'd take her pulse rate and the speed at which she ran it. And then the next day he'd have the same women run that same distance in bloomers and flat shoes and do the same tests and argue look it's not… women are not inferior. Women are just wearing terrible clothing. And that women need to be physically active and need to be athletic and need to be you know doing these things. And so it wasn't a big surprise that you know by 1912 he opens up Sergent Camp down in southern New Hampshire down in the Peterboro/Hancock area and Sergeant Camp opens as a training ground to teach women to run outdoor education centers and to teach in the outdoors. [VP] This whole idea of social experimentation going out in the woods and other kinds of transformations for adolescents and young people is fascinating. Another thing I find really fascinating is the adoption of Native American rituals. 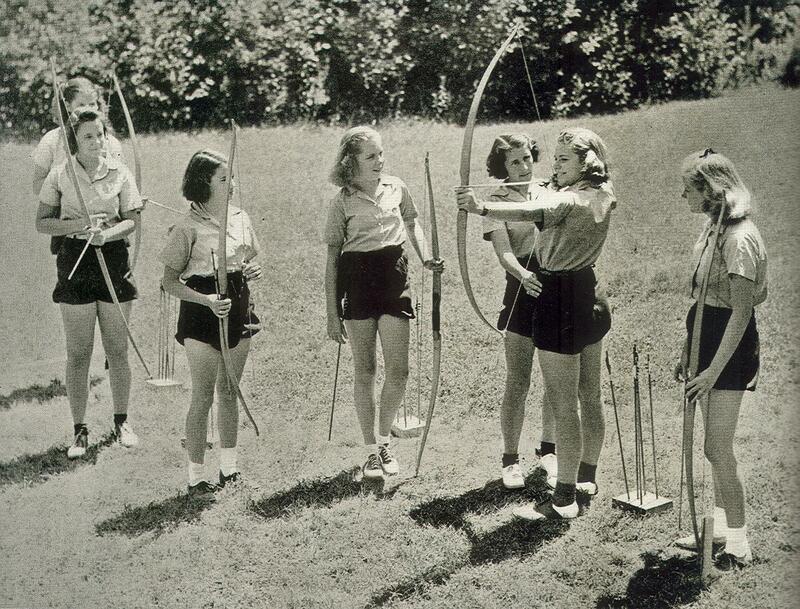 You know like archery, doing scouting games, wearing war paint, doing powwows, and circle dancing. Where did all of these kind of native and pseudo Native American rituals come from? [PH] Usually when you look at that, people have two different responses. The initial response is that ‘oh, they're honoring Native Americans and it's part of the culture and the tradition and it's a really important thing.’ Or it's like ‘this is just blatant racism.’ like this there's just no other way to cut it. And it's just, you know, white people taking Native American practices and making a game out of them. I think it's a more complex story than that. 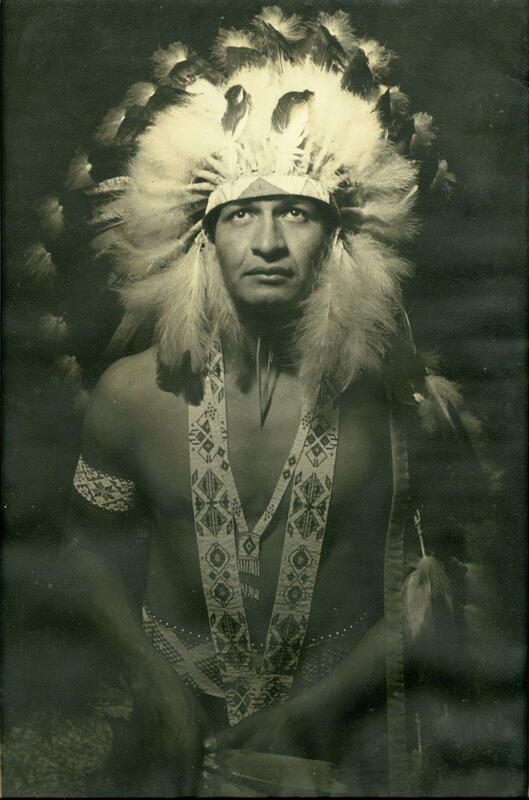 At one level, it's important to recognize that you know in European history, since first contact you have this kind of idealized vision of who the Native Americans were and that connection to the wilderness is very key in that kind of European/Euro American idea. And a lot of that's really crafted by a lot of the romantic writing, you know, a lot of the summer camps that are up here in the White Mountains, they have Native American names that just happen to come from Longfellow's Song of Hiawatha. Right? And they're not like taken right from tribal pieces. But you also had at the time, there's this guy Ernest Thompson Seton who was a naturalist. 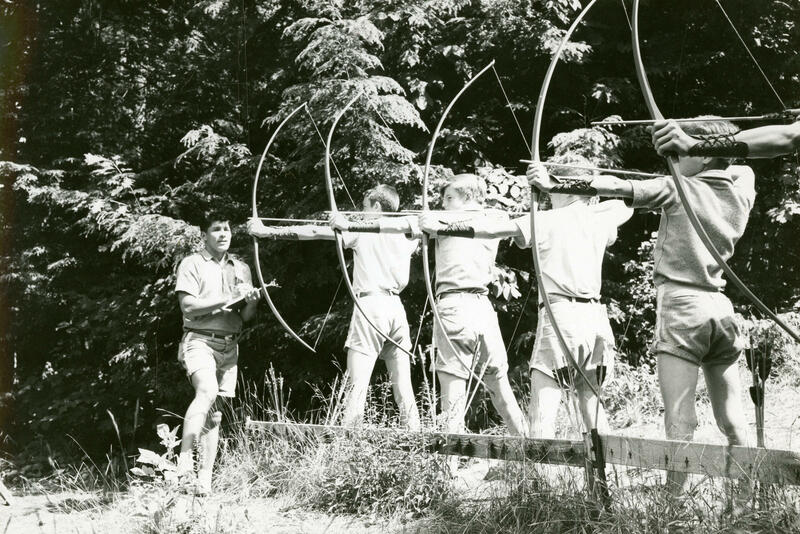 He was an artist, he was an author, and he created this program called the Woodcraft Movement at a point in time when most of the popular opinion was that Native Americans were all alcoholics and their culture was falling away and he was really promoting the fact that there is this really unique and valuable culture that is here. And when he was trying to craft this educational program of the Woodcraft Movement he wanted to be able to engage those people in those traditions so he was going to the anthropologists and the ethnographers and to get the most recent research they had to try to craft it and have it be solid and authentic, not to just be a caricature. gentleman who he went to the same camp that his father went to in the 1920s. And his son went to and his grandson went to and they all experienced the same rituals at the same place on the shore of the same lake in the same camp. That's four generations. What do we have in American culture that we can say is that consistent over four generations? And that's the thing, you know, summer camps are easy to start in that mode. And in some cases, they then go on and build their own campus and have their own dining halls and cabins and such. But a lot of these camps literally were just tents in the forest and then disappeared once the directors decided to do something else or the market changed or the whatever happened that caused them to end. You know the New Hampshire Historical Society did a study a few years back to count. They wanted a full number of every summer camp in in New Hampshire and somewhere around 460 they stopped counting. [VP] And this lives on you know even the camps that have reverted back into the woods those that the landscape has reclaimed in the minds of people the sort of memories of camp I mean I know a lot of people who when we've talked to them as guests they say, "Oh I went to camp up in New Hampshire!" and they remember it in just is really sacred precious way. 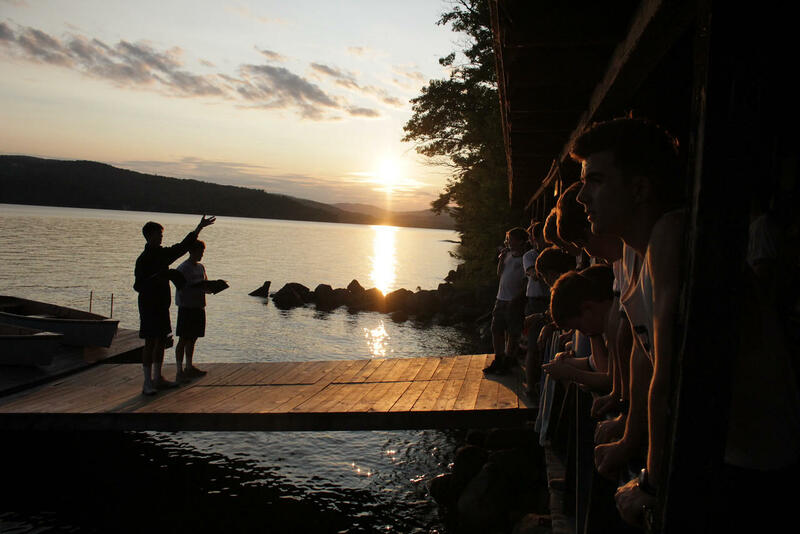 What is it about the experience of camp that stays with people in such a convincing way? [PH] You know I think that it goes back to the age that you are when you go to camp, you know, you're at this age where you're starting to kind of gain an awareness of yourself. You want to challenge your parents, you want to challenge the world you're coming from and you get dropped off in this world that's totally different. And you're in this community with people that are challenging not just your view of the world but your view of yourself. You know, you find these new things in yourself. It's not rugged individualism, it's rugged communalism. The way our cabin wins the cleanest cabin award is not because I'm the best. It's because we work together to clean that cabin. The way our canoe gets across the lake is not because I'm the best paddler it's because we learn how to work together. Kelly’s dad grew up on the Upper West Side of Manhattan. She remembers her father, George, telling stories of growing up in "Irish Harlem", a pretty rough neighborhood squeezed between Spanish Harlem, Black Harlem and Columbia University. George was a straight-up "city kid", but each summer from about the age of 6 or 7, until he was a tween, George escaped to New Hampshire, and a Catholic boy’s camp called Camp Notre Dame on Spofford Lake. New Hampshire is the mainspring for America’s summer camp story. The birthplace of a tradition that has shaped the lives of not only local kids, but kids we'd now call "at risk". Kids who'd never been out of their city or even neighborhood. And a number of celebrities spent their summers tucked away at Squam, Spofford, or Winnipesaukee lakes. People, like Paul Fireman, the founder of Reebok. James Frey, the once disgraced then quasi-redeemed author of A Million Little Pieces. Actors and siblings Maggie and Jake Gyllenhaal, Fight Club's Edward Norton; The Breakfast Club's Judd Nelson. 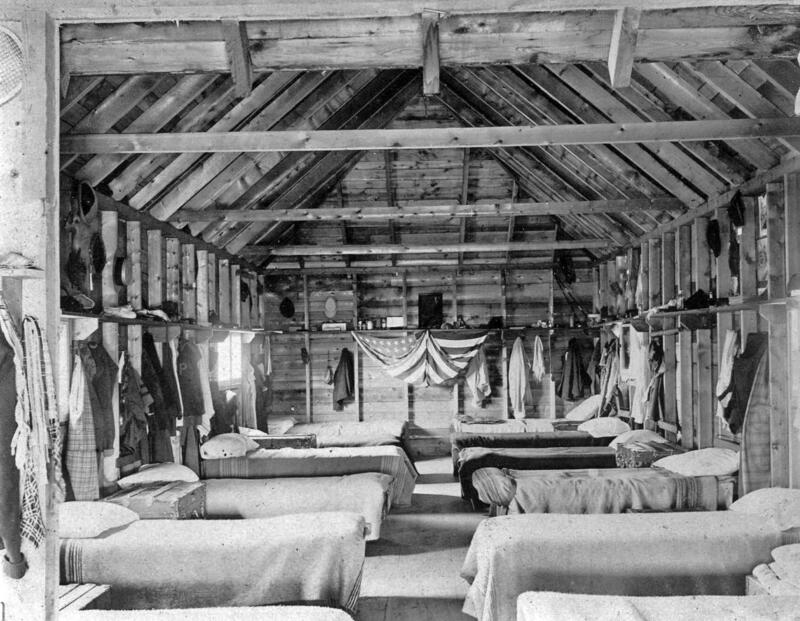 Generations of adults forged in the shared experience of camp, the bunk-beds, the letters home, the bug bites and the bad food. Today on Word of Mouth, we go back to camp. Plus we’ll answer one of your questions from the Only in New Hampshire mail bag, and we’ll go to civics class to learn more about The Speaker of the House. You Asked, We Answered: What is the Percy Summer Club? Ever walk past a private driveway with no end in sight and wonder... what's down there? Or glimpse a building through some trees and wish you could get up close? Well, one listener wrote in about a place that she'd never seen... only heard of in passing. A place tucked into the trees in the Great North Woods. A New Hampshire institution. And chances are, you've never seen it either.